The case of Lewis v. Union City, Georgia, No. 15-11362 (11th Cir. December 15, 2017) involved perception of disability and the convincing mosaic standard for her race and gender claims. Jacqueline Lewis is an African American police detective who was terminated from her position after ten (10) years of service based on the allegation that she was absent without leave. However, just days earlier, the Defendant had placed her on an indefinite administrative leave pending resolution of whether she could safely be subjected to a Taser shock as part of their new training policy. 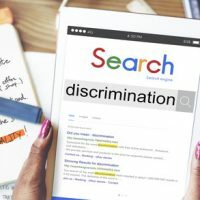 Previously, Lewis suffered a heart attack, but her doctor concluded that she did not have a heart disease that “chronically affects her life.” Lewis alleged her termination was unlawful racial, gender, and/or disability discrimination. During Lewis’ employment, the Defendant adopted a new Taser policy and because of her prior heart attack, Lewis was worried about whether the Taser would increase her risk of injury. Her doctor wrote a letter to the Chief explaining that Lewis was treating for “several chronic conditions including a heart condition” and that she would “not recommend that a Taser gun or OC spray be used” on or near Lewis due to her chronic conditions. At the time, the Defendant’s policy regarding leave stated that an employee could request an unpaid leave of absence up to 180 days, but that an employee could also be placed on a leave of absence status without an application. After receiving Lewis’ doctor’s letter, the Defendant placed Lewis on administrative leave without compensation, letting her know the leave would be until such a time your physician releases you to return to full and active duty. In response, Ms. Lewis wrote a letter clarifying she was only asking for an accommodation for her the taser and OC training and requested to return to her duties as a detective. She then sent a second letter requesting to seek temporary employment elsewhere while her doctor and Defendant tried to reach a resolution on her medical letter. The Chief denied her request to work “until your doctor releases you for duty,” but did not fix a time frame for obtaining a release. Lewis did not apply for FMLA leave. Lewis’ doctor then went on vacation and Lewis let the Defendant know. The Defendant then terminated Lewis and did so without speaking with Human Resources or Lewis’ doctor. The termination letter referenced that Lewis had been put on leave, exhausted her leave, and failed to turn in paperwork for FMLA. The 11th Circuit noted that her termination was mysterious as she had been placed on unpaid, indefinite leave, given option to use accrued vacation, and not given any deadlines, including a deadline to complete paperwork. The 11th Cir. further concluded that a jury could have reasonably found that the stated reason for terminating Lewis – absent without leave – was pretext for one or more other motives, which had evidentiary support. While the court found Lewis’ evidence was insufficient t meet a prima facie burden she was actually disabled, she presented sufficient evidence regarding whether she was regarded as disabled. Notably, the court pointed out that a jury would be entitled to accept Lewis’ evidence that the Defendant placed Lewis on leave and fired her because it regarded her as disabled. In reaching this conclusion, the court looked to non-binding guidance that an employer that takes adverse action because it fears consequences of an employee’s medical condition has regarded that employee as disabled. The court also held that the district court erred in holding that Lewis failed to produce sufficient evidence that she was a Qualified Individual, noting that it is a factual determination which is inappropriate for summary judgment. The court noted that an employer’s judgment is entitled to substantial weight, but is not the single determination. Additionally, Lewis offered evidence that other detectives were previously permitted a choice of which nonlethal weapon to carry. Turning to the claims for gender and race, the court further held that Lewis presented sufficient evidence to survive summary judgment on the additional basis. In reaching the determination about whether Lewis presented sufficient evidence to overcome summary judgment, the court recognized its 2011 decision in Smith v. Lockheed-Martin to note that “establishing the elements of the McDonnell Douglas framework is not, and never intended to be, the sine qua non for a plaintiff to survive a summary judgment motion in an employment discrimination case. Accordingly, the plaintiff’s failure to produce a comparator does not necessarily doom the plaintiff’s case.” The court highlighted that a plaintiff will always survive summary judgment if they present circumstantial evidence that creates a triable issue concerning the employer’s discriminatory intent – and a plaintiff will always survive summary judgment if they present a convincing mosaic of circumstantial evidence that would allow a jury to infer intentional discrimination. The court concluded that Lewis presented a mosaic of circumstantial evidence that raises a genuine issue of material fact, including that a jury court reach a decision that differing treatment of Lewis white colleagues in combination with the rest of the evidence, was part of a mosaic of circumstantial evidence on her claims of race and gender discrimination.